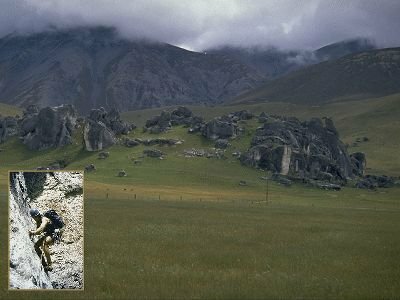 This large, tussock-covered Basin has several large fields of limestone Boulders, the most well-visited area being the Kura Tawhiti Conservation Area. Kura Tawhiti Conservation Area is approximately 50 km from Arthur's Pass towards Christchurch. Access to the reserve is about 1km on the Christchurch side of Castle Hill Homestead, the track follows a line of pine trees from the large car park. Other areas include Flock Hill, Cave Stream, Dry Valley and the Escarpment. 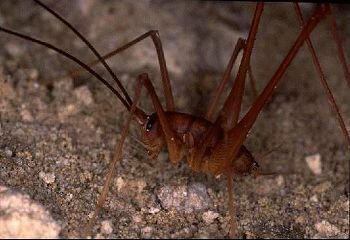 These areas are accessable from the Cave Stream Scenic Reserve, approximately 45 km from Arthur's Pass towards Christchurch. Special permission is required to visit or climb on the Flock Hill Rocks. Not all the rocks are climbable but certainly there are plenty that are, ranging from boulder problems to multi-pitch epics. The majority of classic routes are equipped with 12*110mm coach bolts which have to date proved very reliable in the soft limestone. Most must be hooked & throttled with wires. Newer routes (and definitely more difficult routes) have Petzl hangers. Some of the tors have abseil chains. Climbing in the reserve is subject to certain conditions. All climbing in the area should be inconspicuous. Refrain from knocking off loose flakes or rocks. Do not remove or damage plants (including mosses & algae on the rocks). Show consideration to local landowners and other visitors. Remove all rubbish. 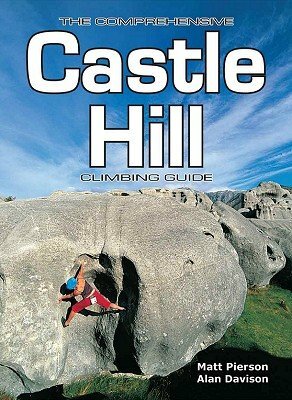 "Castle Hill Climbing Guide" by Matt Pierson and Alan Davison. 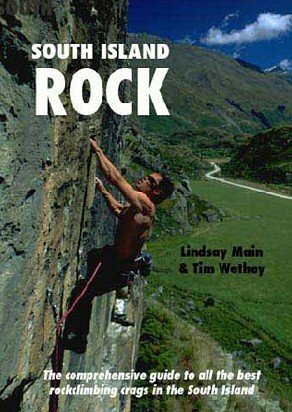 "South Island Rock" edited by Lindsay Main and Tim Wethey. Visit the NZAC Store for on-line purchases of both books.